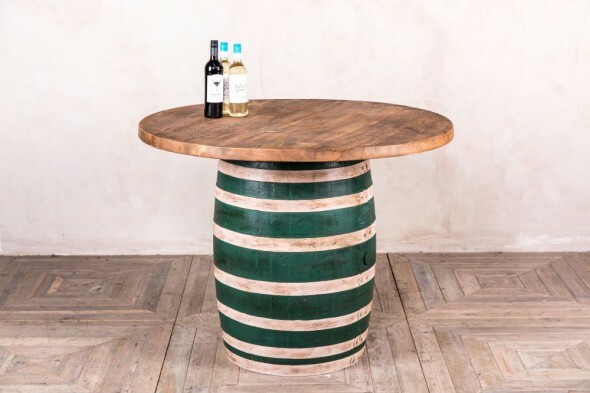 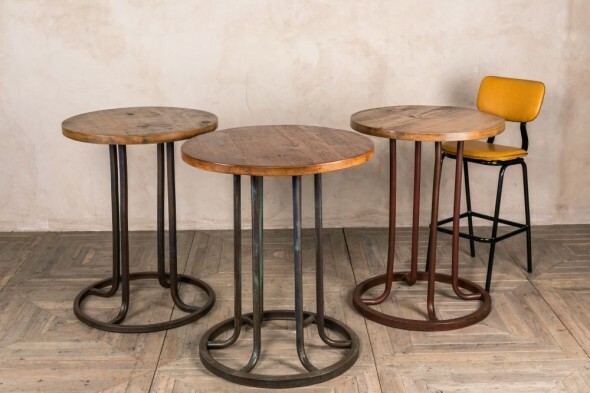 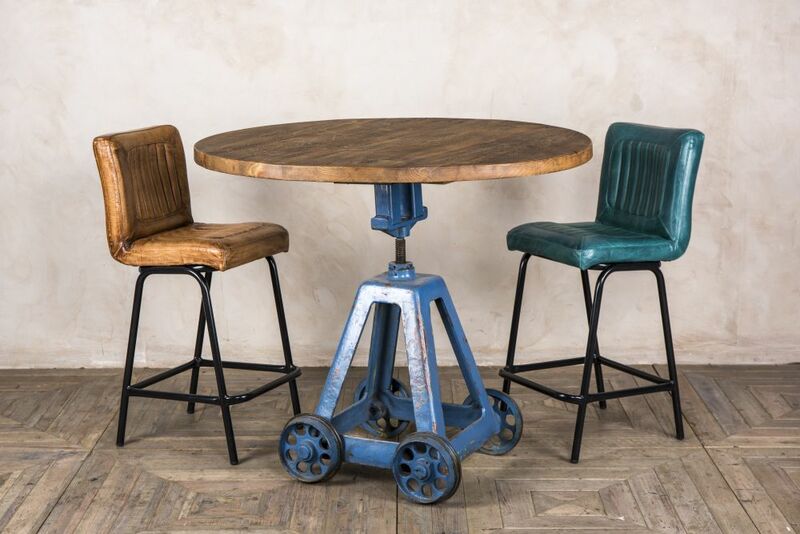 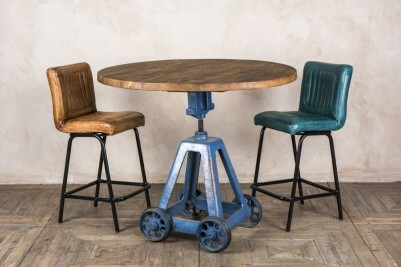 Add this industrial bar table to a vintage style bar, pub or bistro. 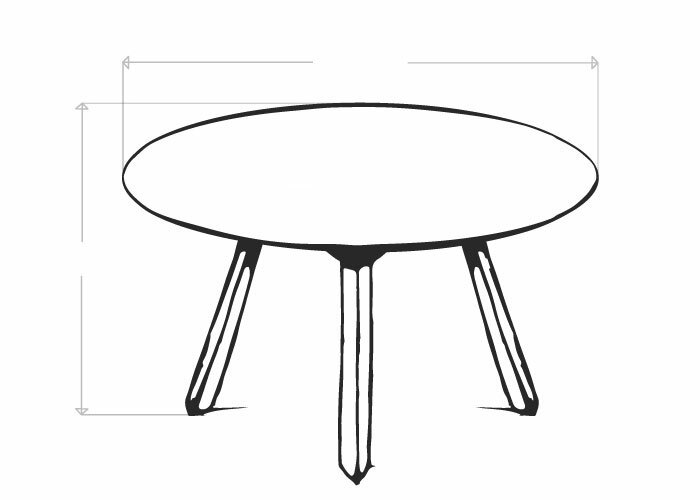 The table would be a stand out feature in any space. 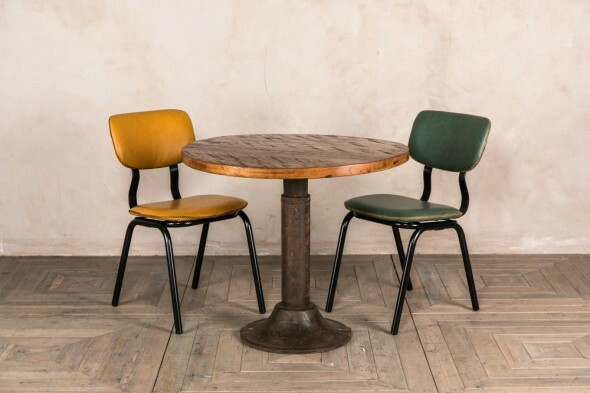 It was once painted blue and has acquired a distressed finish over the years. 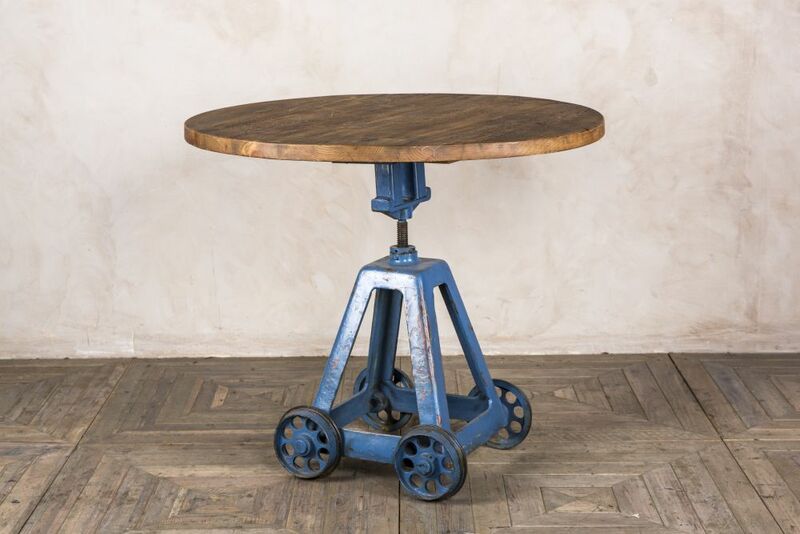 It used to be a trolley; we have fitted it with a reclaimed pine top so that it can be used as a quirky mid-height table. 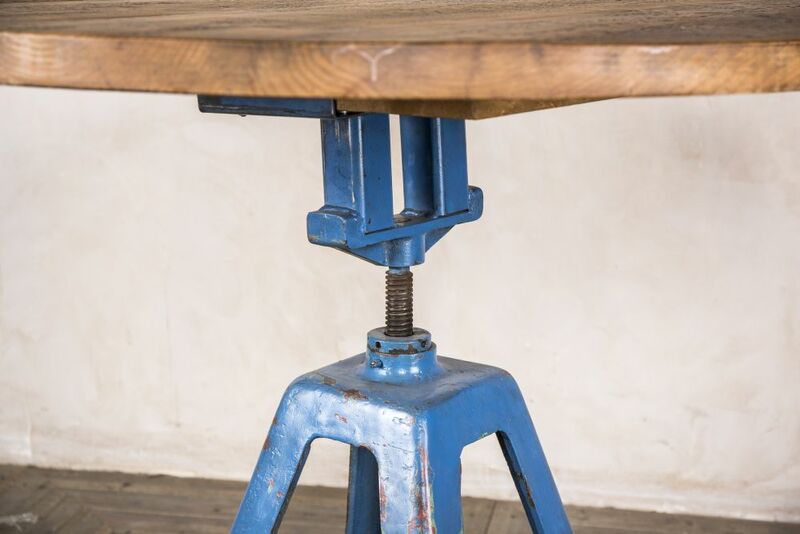 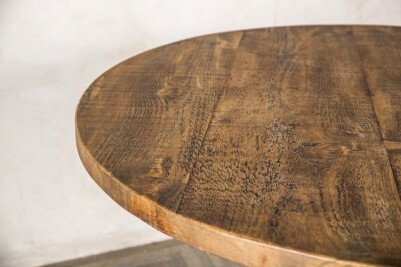 The table is welded in place, so cannot be adjusted; it would be best paired with some of our 66cm high bar stools. 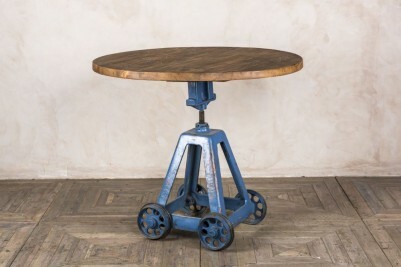 Please note that the wheels on the table do not work and are for decorative purposes only. 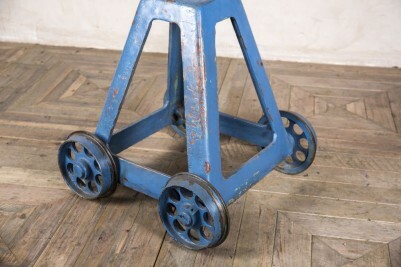 As this is an original vintage item please allow for signs of wear and tear. 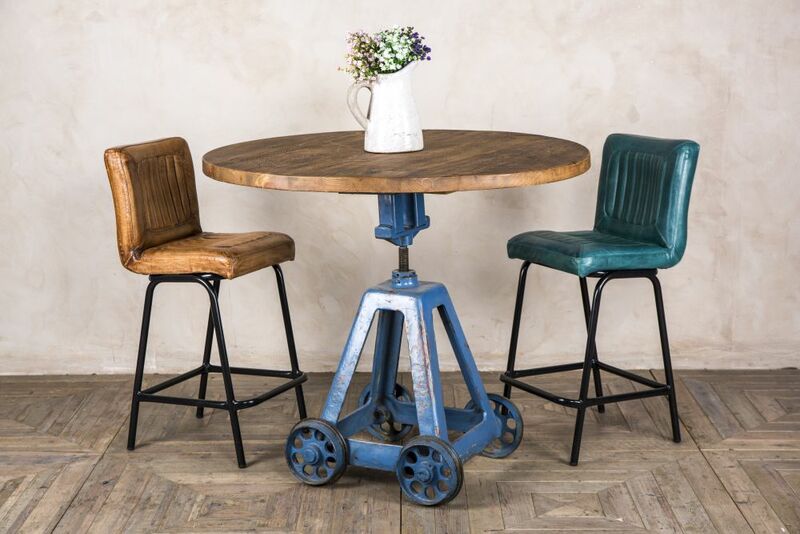 The stools pictured are not included in the price, but they can be purchased separately.